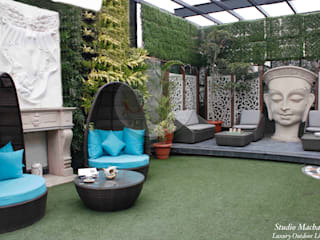 Established in 2015, Studio Machaan is incepted on the concept of providing Luxury Terrace Garden Designs and Customised Outdoor Garden & Terrace Products in Delhi. 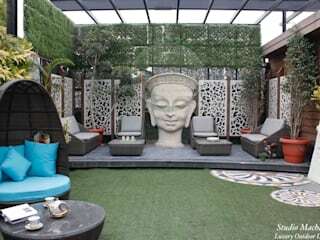 Studio Machaan – based in New Delhi - is a group of highly motivated and skilled individuals - Terrace Garden Designers - who are ambassadors of luxury amidst greenery and is the perfect stop for value addition to your space. 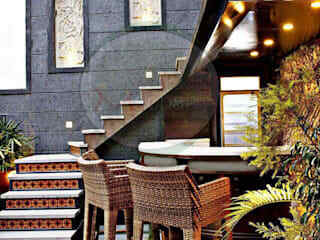 Whether you wish to design an exquisite Terrace Garden or adorn it with aesthetic garden products / features our team of terrace garden designers at Studio Machaan can provide you with specialized solutions in terms of terrace garden designing, execution as well as customised and artistic outdoor garden products in Delhi NCR. 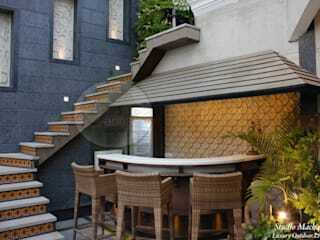 We firmly believe that the comfort and luxury of indoor living can be equally imbued in outdoors too. Allow us to assist you in embracing and feeling the mesmeric beauty of nature!